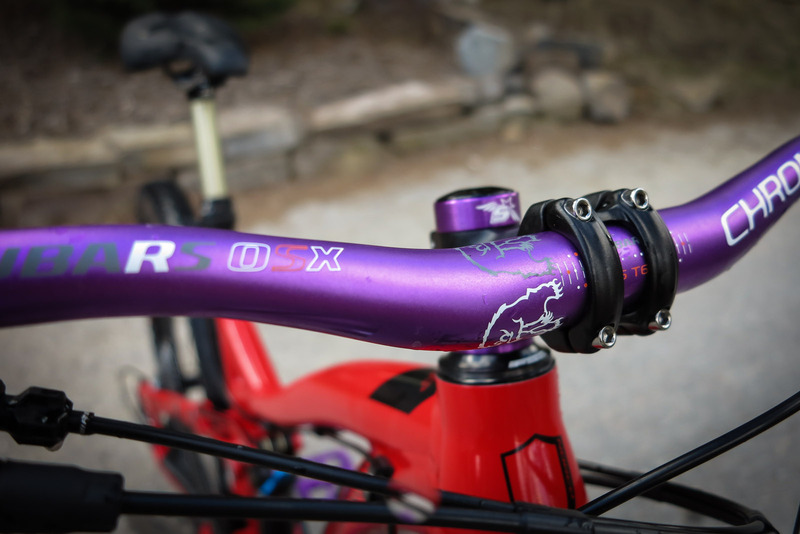 A classy 140mm travel trail bike from Outside Bike and Ski.1 x 10 , KS dropper post, tubeless wheels and some fancy purple bits!! 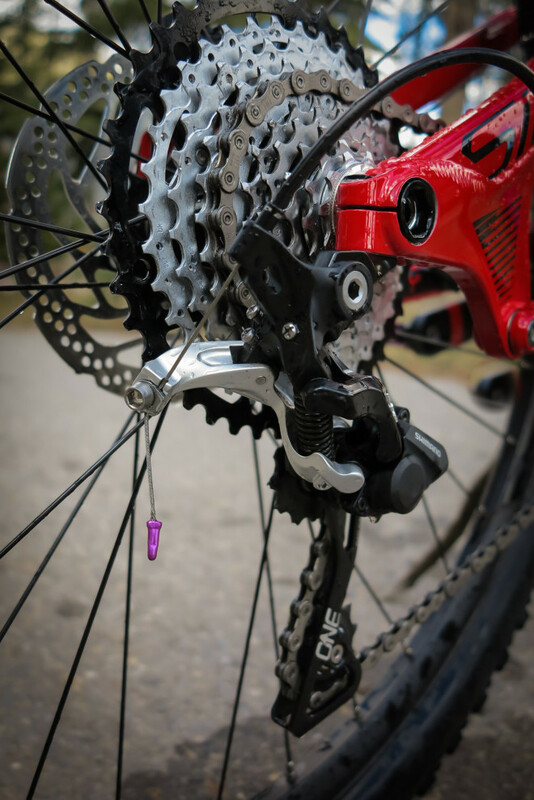 All the extra OneUp components help keep the XT shifting smooth. 16 tooth cog and a Rad cage paired with an Ethirteen 42T climbing gear. Lesson 1 on making a bike look girly….accessorise!! 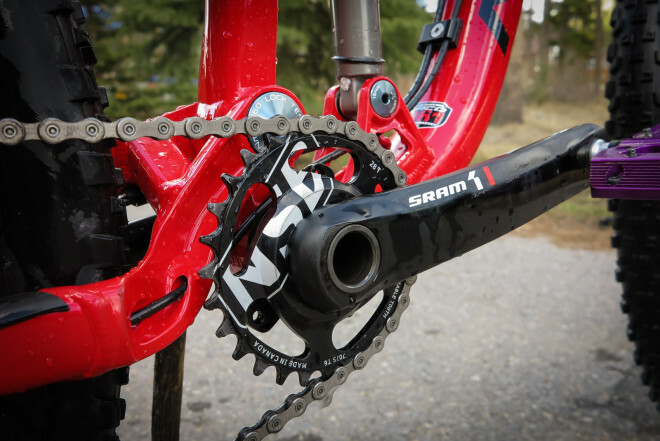 North Shore Billet lets this crank run smaller than a 30T ring with a direct mount system. No front derailleur…no worries!! Damn that’s a big jump! And an unreal bike!!! Enjoy the sweet rig Sophie! 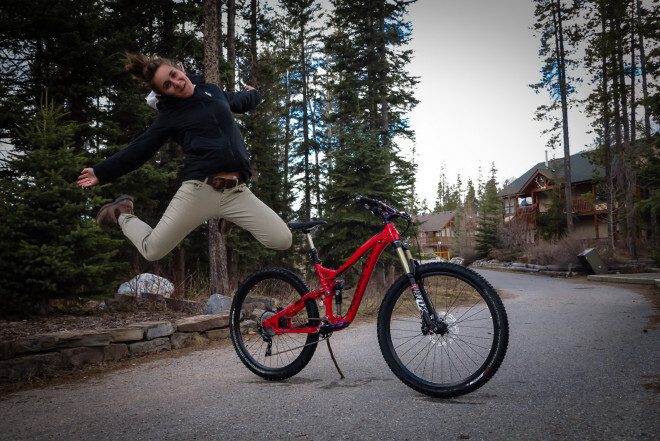 I have the same bike and here are a couple of additions you NEED to make: Get a Vorsprung corset sleeve for your rear shock. It will amaze you how much better it will be. 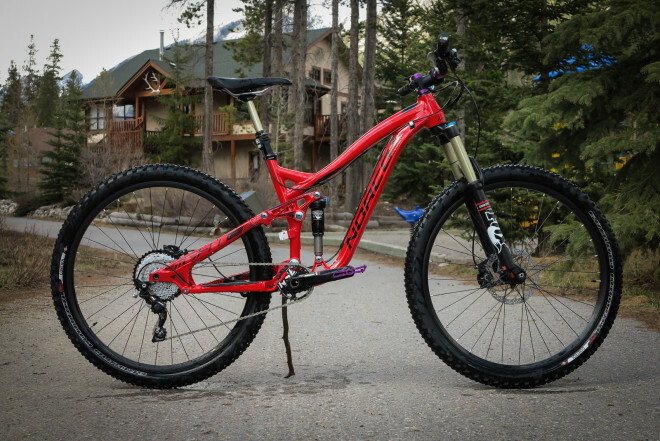 Then dial up fox to get your discounted fit4 internals for your fork. They’re offering it for $100 for the evo forks from our year. 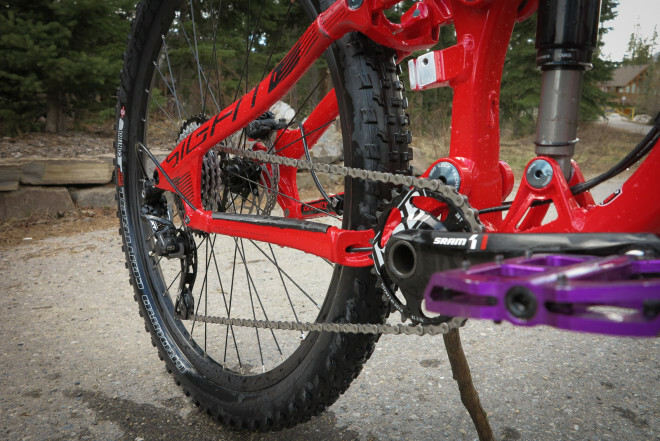 Between those two upgrades and the tubeless and 1×11 you’ve already done, your bike will be dialed!